It's been a little over a year since we heard the news. It traveled faster than a wildfire driven by a Chinook wind—Burpee shut down Heronswood and planned to move the nursery to Pennsylvania. I heard about it while sitting at a local coffee shop, when one of the Heronistas came in, spilling the news across the counter. I saw it on the Rainy Side Gardeners' forum and read every sad post that followed the announcement. I read about it in various local newspapers, on blogs and gardening forums around the globe. Who could have predicted the firestorm that followed the Kingston closure? A year later, controversy still surrounds the name. My relationship began in the ‘90s when friends invited me to go with them to a Heronswood Open Garden. One walk through the gardens and I was hooked. Every year after the initial visit, the Heronswood catalog appeared in my mailbox. I spent hours pouring over the listings. My husband often looked at me quizzically when I laughed aloud at Dan Hinkley's humorous descriptions. You probably experienced this too and gave up trying to explain it to a non-gardener, the humor lost in translation. 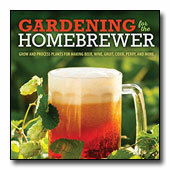 Many of us expanded our horticultural horizons with Heronswood's catalogs. Somewhere, I read the catalogs are collector items. However, I won't part with my dog-eared, marked-up and well-used stack; I still find myself reading them. So why do we feel a sense of loss? Logically, I know the nursery is a business. After a few years a sense of kinship formed, which defied logic. Fond memories and a history of feeling connected goes beyond the product, the buildings or the land. A piece of Heronswood is in many of our gardens. Heronswood was a part of my growing as a gardener, further expanding my mind about the wonders of the plant world we live in. Maybe part of the feeling of loss is due to the abrupt closure; it didn't give me time to go to the gardens one last time, something I looked forward to every year. Still healing from an injury that kept me out of the garden, I didn't go that year. Living only ten minutes away, I would go as often as I could. Of course, I thought I would get there later in the year. I wasn't able to buy all the plants on my long wish list, as every year I whittled it down to an amount I could afford. In life, it is inevitable that all things change. Would Heronswood still be in operation today if Dan Hinkley and Robert Jones hadn't sold it? It's been said the nursery was losing money, so something would have to change in order for the nursery to sustain itself. I don't know all the details; however, it appears it was an excellent business decision by Dan and Robert to sell it to a larger business. That was seven years ago. We still enjoyed business as usual for another five years after the sale. They made a profit and moved on with their lives, new home and new garden. Yes, Heronswood changed. Participating in a media tour of the gardens a few months ago, I saw the nursery section looking like a ghost town. The skeletons of empty greenhouses stood silently, yet the botanical abundance remained in the gardens. Gardeners are still maintaining Heronswood, working especially hard to spruce it up for the upcoming Garden Conservancy's Open Days on July 21. This hasn't changed: we can still enjoy a lecture by Dan Hinkley. We can read his articles in various horticulture magazines and watch him make appearances on quality shows, such as Nova. He continues to share his knowledge and discoveries of the plant world. I don't see that changing anytime soon. I can't second-guess what is right for Heronswood's nursery business, nor do I need to understand the controversy surrounding it. Since all things change, maybe it's time to accept the change and move on. However, I can hold on to a hope that someone will buy the gardens and allow visitors now and then. George Ball, current owner of Heronswood, assures us he is only selling to buyers who will keep the gardens intact. However, the gardens will change, as all do over time. I hope the Heronswood stamp will remain, but a piece of a new owner's vision will leave its indelible mark. 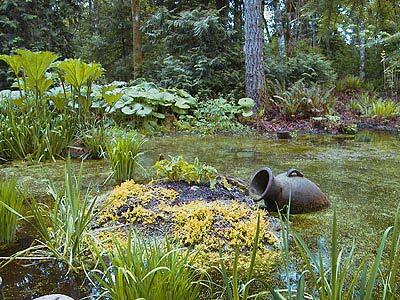 In the meantime, you can see Heronswood again during The Garden Conservancy's Open Days Tour, July 21, 2007, that include tours of three beautiful gardens on Bainbridge Island. Walk through Heronswood garden, appreciate all its beauty and say your goodbyes. We don't know what the future will bring for the gardens; it may be the last chance to visit an old friend.